The Food Service Department is proud of the role it plays in providing students with a nutritious meal each school day. Our goal is to provide students with a well balanced meal which is appealing to students’ tastes, and is the high quality and value that you expect from your lunch program. We offer students five components that can be taken to make up a meal. A Meat/Protein, Fruit, Vegetable, Bread, and Milk are offered. 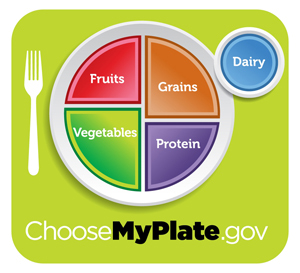 These meal patterns are designed to provide 1/3 of the recommended dietary allowances for key nutrients. The menu is designed to provide no more than 30% of the total calories from fat, and no more than 10% from saturated fat over the course of a week. In order to encourage students to eat a complete lunch, we offer three entrée choices at each elementary, and more choices at the Middle and High School. Every entrée we offer is available as a meal when bundled with our fruit and vegetable bar and a milk. We believe it is important to encourage students to eat a well balanced meal, so fresh fruits and vegetables are available to all students. At each school we offer a self serve fruit and vegetable bar. 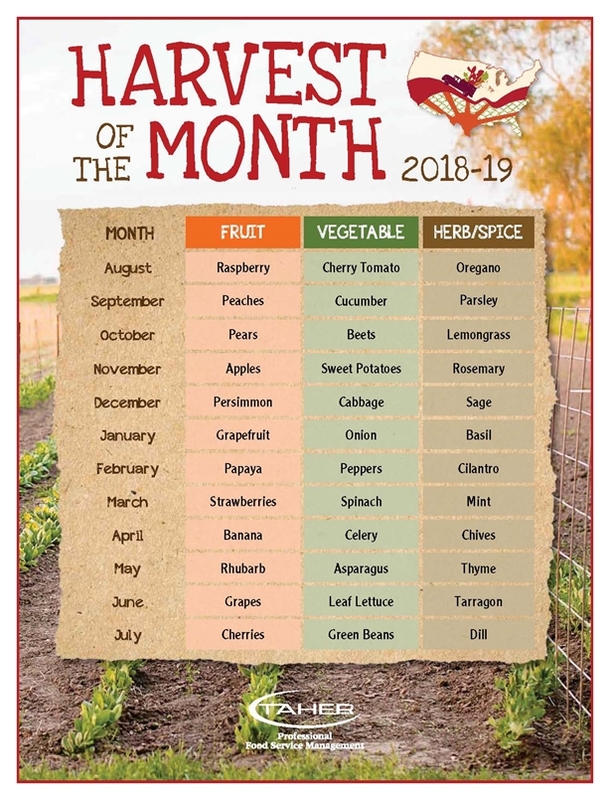 By providing four vegetables, a fresh fruit and a canned fruit, the students can pick their favorite items, instead of passing up one choice offered on a menu because they don’t care for it. We will introduce the students to a greater variety of fresh fruit including Passion Fruit, Blood Orange, and Papaya, just to name a few. We use whole grain white bread and whole wheat rolls. All of the products and ingredients we purchase are trans fat free. A la Carte items are items that students may purchase that are not part of a meal. They are offered to Intermediate, Middle and High School students only. Students can customize their lunch to make it just the way they prefer. 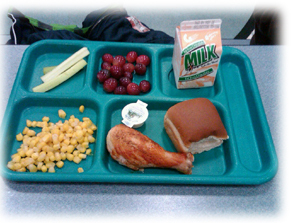 Our elementary menu standards follow the White House Initiative, and the HealthierUS School Challenge. We continue to expand our Farm to School Program to bring in more fruits and vegetables grown locally when in season. Students will be able to see the name of the farm and location when these wonderful farm fresh items are served. Students who have food allergies can receive a special meal based on an approved menu to address their specific circumstances. Contact your school nurse to get a physicians statement form. Once we receive the form, our Dietician will write a menu that is safe for your child based on the doctor’s statement. Students can order lunch from this menu, and a specially trained cook will prepare and keep the meal in a sealed container with the child’s name until lunch.